I have had this print on file for a while but was never able to find the details of it other than it was Kyoto. Thankfully a fellow Japanese history lover found the info. You will see that I have two versions of the print. One is probably the original colourised one while the other you can see has been further enhanced. Thankyou and enjoy this great print. 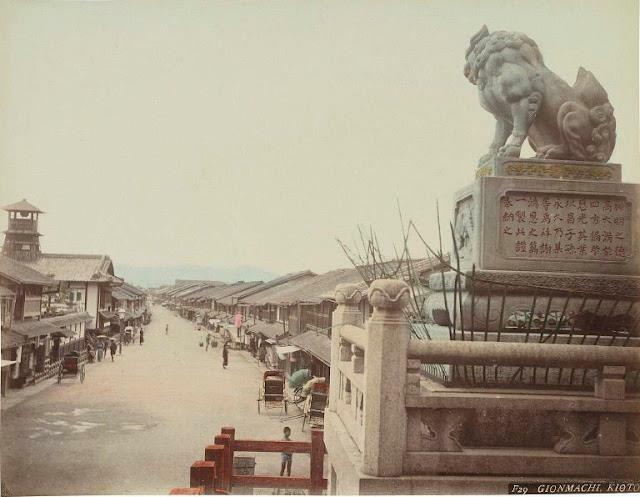 “Gionmachi, Kioto”, c. 1886 ~ Hand-coloured albumen print by Adolfo Farsari (1841 -1898), an Italian photographer based in Yokohama. His photographic work was highly regarded. 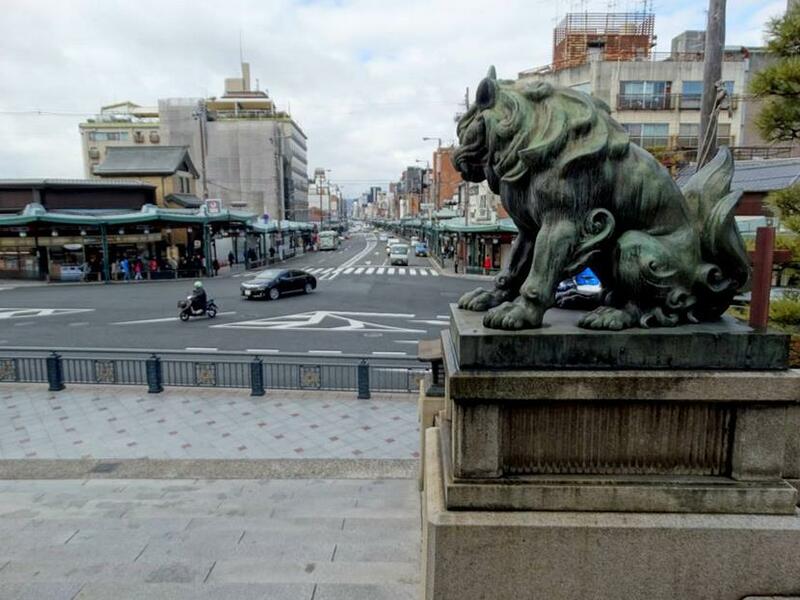 The statue of Komainu guarding Shijo Dori. The Gion district as seen from the steps of Yasaka Shrine. The district was developed in the Middle-Ages, in an area in front of Yasaka shrine (八坂神社), also known as Gion Shrine (祇園神社). It’s main purpose was to accommodate the needs of travellers and visitors to the shrine. 9.2.15 update: A friend of mine who lives in Kyoto saw my blog and sent me this present day photo of the old Meiji perios one. Enjoy! 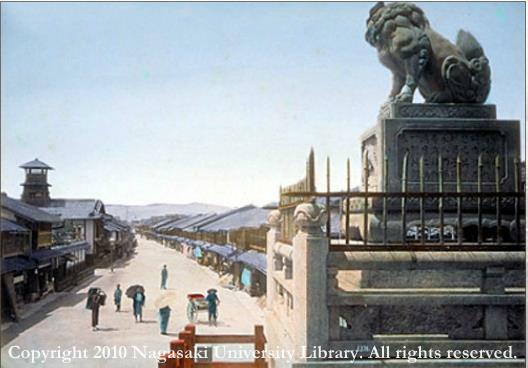 Next Post The Throw Away Temple – Dumping Ground of the Yoshiwara Prostitutes.